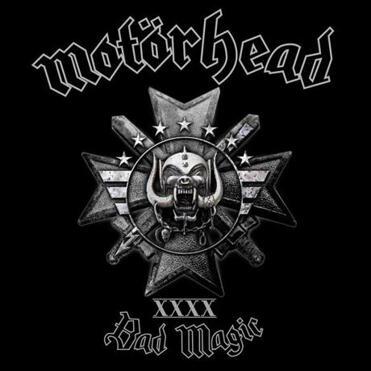 Time flies when you realize this is Motörhead ’s 22d studio album over a slam-bam, no-surrender 40 years. Stubborn frontman Lemmy Kilmister, now 69, has endured some serious health issues in recent years, including having a defibrillator put in his chest to combat an irregular heartbeat. But he gets the last laugh here: This is a supersonic blast-furnace set of metal-punk that not only will happily surprise Motörhead fans, but also serves notice to wannabes that Lemmy & Co. are not done yet. Kilmister is in vintage form on the surging “Electricity” (“Don’t tell me who I am, I don’t give a damn!” he barks), and on a rare power ballad, “Till the End,” which includes the snarling line, “Don’t tell me what to do, my friend.” Guitarist Phil Campbell steps up on the AC/DC-like “Fire Storm Hotel,” while drummer Mikkey Dee shines on an unexpected cover of the Rolling Stones’ “Sympathy for the Devil.” That efficient if unspectacular borrowing aside, this potent record ranks among the year’s best. Motörhead performs at Toyota Oakdale Theatre, Wallingford, Conn., on Sept. 15.